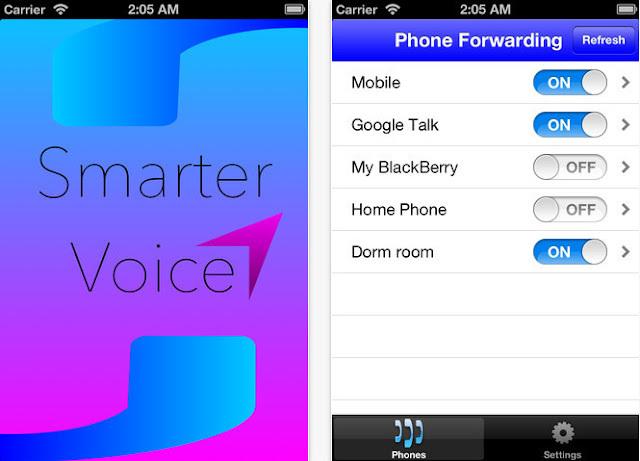 SmarterVoice (iPhone) - Routes your Google Voice calls to where you are ~ Android Forever! Developer Quote: "Ever wanted your home phone to ring only while you're at home? Well now you can! This app allows you to configure your GVoice settings so certain phones will only ring when you're nearby. No more worrying about someone else picking up your home phone when you're out of the house!" If you use Google Voice (and you should, it's free!) and have several phone numbers associated with it, rather than having them all ring at once, no matter where you happen to be, this app will let you have the calls go to a phone you choose depending on your location. If you're home, the app knows you're home and has your home phone ring. If you're not home, your mobile, if you're at the office, your work phone, etc. It makes excellent use of location awareness! 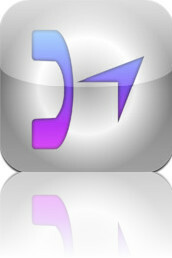 Click the icon below to get the app for 99 cents!